Did Clinton receive the same news as the Bush Family? Something definitely went down at that memorial service. 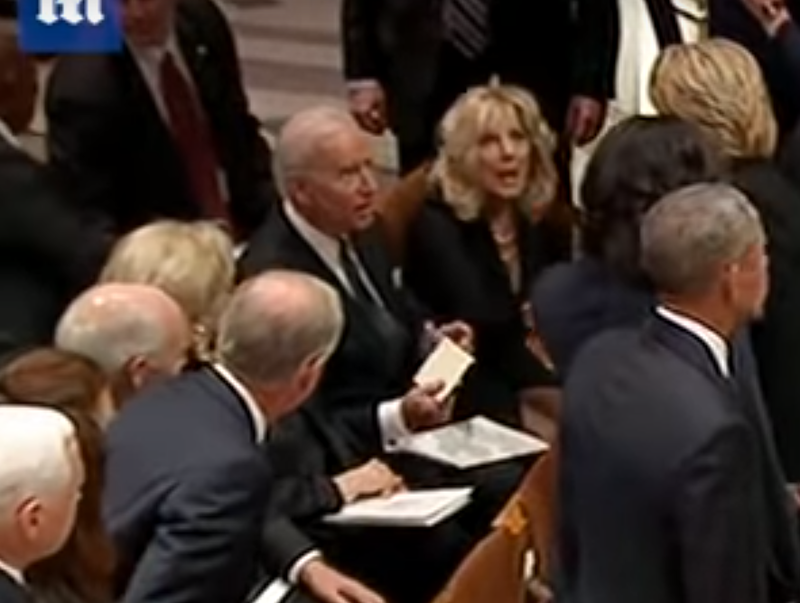 Even Joe Biden received a mysterious note, followed by obvious surprise for those who saw it.